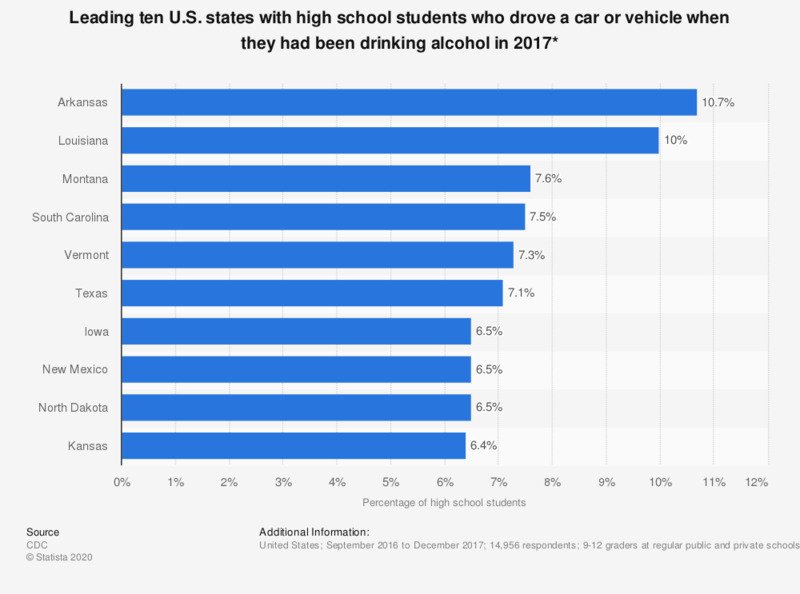 This statistic represents the leading ten U.S. states in which high school students drove a car or vehicle when they had been drinking alcohol, as of 2017. The leading state was Arkansas, where 10.7 percent of high school students drove a car or other vehicle when they had been drinking alcohol. * On one or more occasions during the 30 days before the survey. Among the 61.4% of students nationwide who had driven a car or other vehicle during the 30 days before the survey. According to you, how much time is gained when driving at 140 km/h instead of 130 km/h on a Paris-Marseille (about 800 km)?